Acupuncture is based around stimulating the Chinese acupuncture points, where it was believed that the flow of yin , yang and qi could be restored. These acupuncture points would then be used to control pain, treat illness and combat disease throughout the body. There are countless charts showing the flow of yin yang throughout the body and the acupuncturist would treat these at their acupuncture points to restore balance. Modern Acupuncture has some compelling scientific evidence for its use. Research has shown that the needles stimulate and affect nerve endings and transmission. 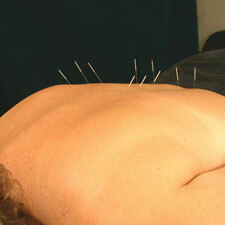 Acupuncture has been historically used for pain relief and this explains its effectiveness. It is excellent for joint and muscle pain, headaches and stress and as it involves no drugs or chemicals it is looked on as a very healthy alternative treatment. Perhaps surprisingly, Acupuncture is also a relaxing treatment. Patients rarely feel any needle pain during the procedure and it is a calming experience. Across Asia many people use acupuncture to treat pain, relax and meditate.